A daughter of Gloucester has worked to have "Dead in the Water," a documentary which traces the erosion of the once-proud Gloucester groundfish fleet, premiere at a special event during the Twin Cities Film Fest in Minneapolis. 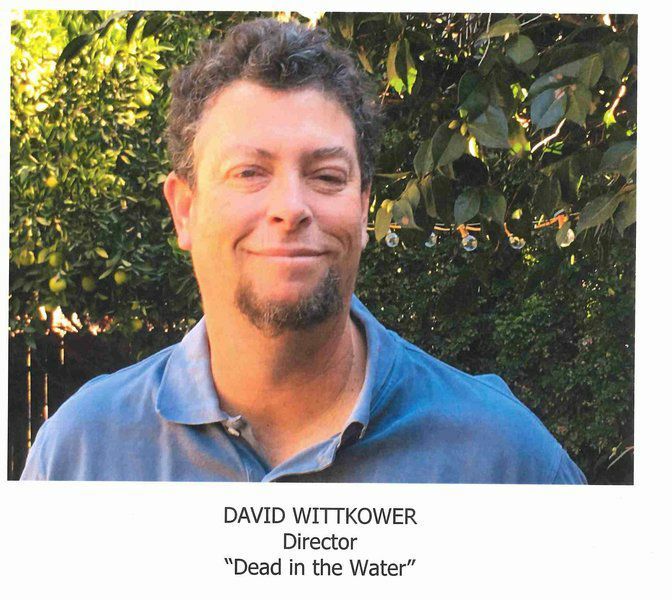 Courtesy photo/Rockport native David Wittkower's documentary "Dead in the Water," the story of Gloucester's fishing crisis, will have a Midwest premiere next month. In the moments immediately after a screening of “Dead in the Water” last February at the Cape Ann Museum, Rebecca Bell Sorensen revealed her quest. A daughter of Gloucester now living a couple of billboards outside Minneapolis, Sorensen had decided the 55-minute, award-winning documentary on forces challenging the survival of the New England groundfish fleet needed to make a road trip. And not just a quick jaunt to another New England coastal community. But a real road trip of, say, 1,429 miles, to the Twin Cities, where she has lived for about 14 years. On May 13, thanks to Sorensen and her cadre of co-conspirators stretching from Gloucester to the Great Plains, “Dead in the Water” will make its Midwest premiere as part of a special event featuring fresh Gloucester seafood and the invasion of some hearty Gloucester souls. The event, billed as From Sea to Sustainable Sea: Supporting American Wild Seafood, is being organized by the Twin Cities Film Fest, the Minneapolis-based seafood dealer The Fish Guys, and the Gloucester Fishermen’s Wives Association. The festivities will take place in St. Louis Park, about seven miles west of Minneapolis, which if you are up on your cinema trivia, you know as the childhood home of the filmmaking brothers Joel and Ethan Coen. 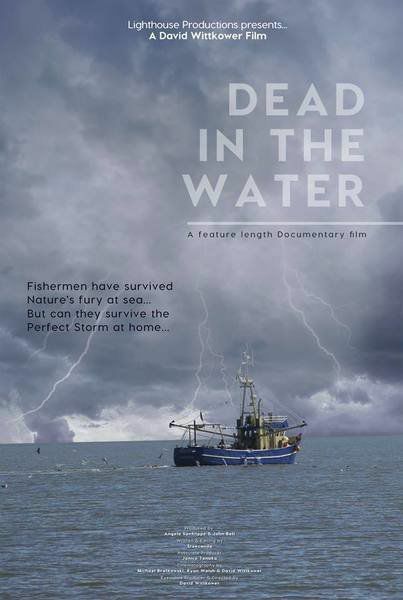 It will include a pre-screening cocktail reception with complimentary appetizers featuring Gloucester seafood, followed by the screening of the documentary by Rockport filmmaker David Wittkower at a local theater. A panel discussion will follow with some familiar faces; Gloucester fisherman and city Fisheries Director Al Cottone, Angela Sanfilippo of the Gloucester Fishermen’s Wives Association, and J.J. Bartlett, president of the Massachusetts-based fishing group Fishing Partnership Support Services. Following the panel, the assembled will retire to a nearby restaurant, The Lucky Cricket, for a feast of seafood from the waters around Cape Ann cooked by a handful of prominent Twin Cities chefs and Sanfilippo. All that for a mere $75. Organizers are limiting ticket sales to 200. In less than a week, they’ve already sold 100. “We’ve really got a great team,” Sorensen said. Here on Cape Ann, the squad is anchored by (cool) papa Bell and Sanfilippo, both of whom served as producers on “Dead in the Water.” Enlisting them was cake. The tough part was on the ground in the Twin Cities, where Sorensen had to cobble together an intricate web of financial supporters and assemble the logistics and locations for the screening, the cocktail reception and the seafood feast. So, Sorensen went to work. Actually, she’d already been moving some pieces around the board before the screening at the Cape Ann Museum. She quickly identified the premier seafood dealer in the Twin Cities area — The Fish Guys — and, following a visit by Sorensen and Bell to company’s sprawling 40,000 square-foot plant, convinced company executives to sign on. “They called one day and said they wanted to come by and I said ‘why not?’,” said Mike Higgins, president of The Fish Guys. The father-and-daughter team laid out the imperiled state of the New England groundfish industry and asked the seafood dealer to help pull the event together to show the true sustainability of the fishery. And, before his conversation with Sorensen and Bell, did he realize the depths of the challenges facing New England groundfishermen? Higgins helped introduce Sorensen to the chefs from the bustling Twin Cities dining scene that will be cooking at the event: Yia Vang of Union Kitchen; Christina Nguyen of Hola Arepa and Hai Hai; Sophina Uong of Lucky Cricket; Justin Sutherland of Handsome Guy and the Madison Restaurant Group; and Tim McKee of the Octo fishbar and an executive vice president for development at The Fish Guys. Sorensen still had to find a venue for the screening. One problem: Wittkower’s film had not been accepted by the Twin Cities Film Fest. One evening, Sorensen was in a Chipotle with her two young children to get takeout after a busy day. She struck up a conversation with a gentleman in front of her in line. They began discussing the documentary. The man was intrigued. Which is what will happen on May 13, in St. Louis Park, Minnesota, more than 1,200 miles from the rocky shores of Cape Ann.